If you’re one who is passionate about the “sit” of a chair, or the stance of a table, or the proportions of a piece… you’re one of us. Just like you, we painstakingly analyze, devise, revise our decisions until they are just the right solution… filling a niche in our line and creating an inspiration for our customers. Our desire at Hickory White has never been stronger to create the most sought after home furnishings. Our commitment to this desire is the driving force that leads us into the future. We look forward to exceeding the demands of our consumers for many, many years. 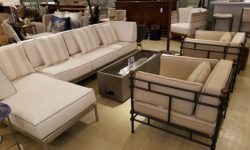 You’ll find what every discerning furniture buyer is interested in… today’s style statement, hand-tailored and hand-crafted by skilled artisans here in Hickory, NC USA. Each piece has been curated and selected for inclusion with the goal of empowering your creative spirit through customization finish options that are second to none.